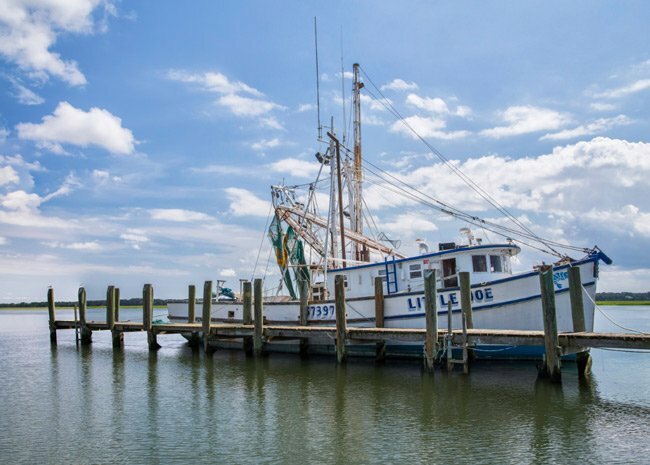 This boat rests on the calm surface of the Harbor River. 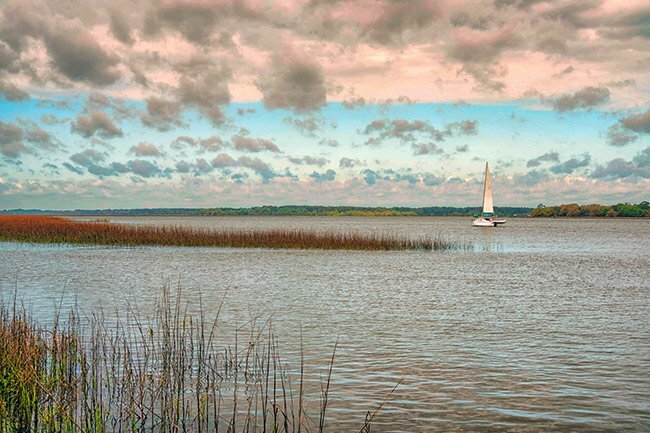 The Harbor River in Beaufort County is comprised of waters from St. Helena Sound and the Atlantic Ocean as well as its confluence with Station Creek and Trenchards Inlet. 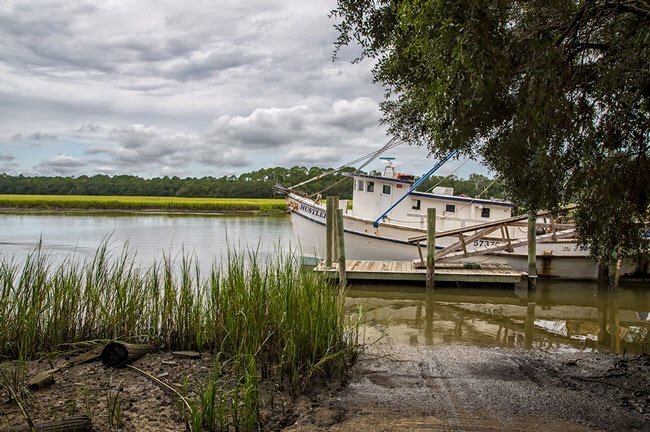 The tidal river flows between St. Helena Island and Harbor Island and also past a small portion of Hunting Island State Park. Until the Harbor River Bridge was built by the Work Projects Administration in 1939, connecting Harbor Island and St. Helena Island, Harbor Island was accessible only by boat. After road access was established, the once-isolated island became home to a 1,400-acre private community. Harbor River is a popular spot for boating, fishing, and kayaking. 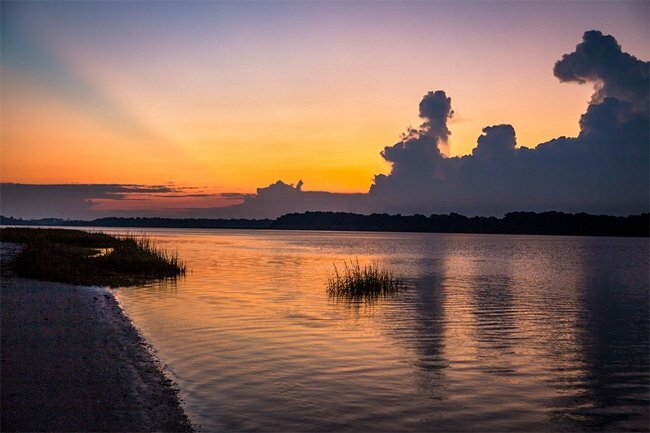 Public access to the river is available from St. Helena Sound as well as Hunting Island State Park. 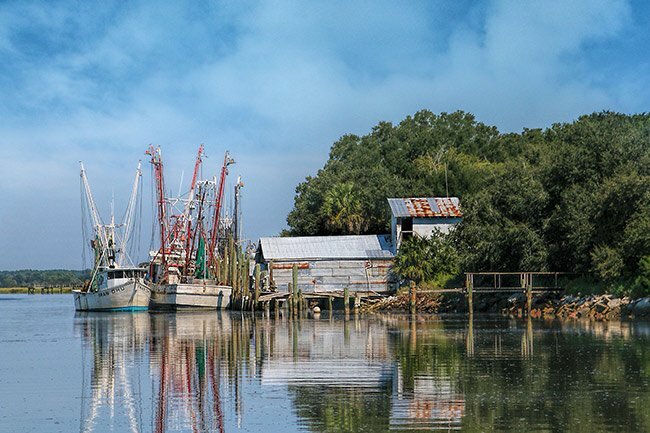 Plantations line the Harbor River and the neighboring bodies of water that surround St. Helena Island making this an important area for commerce historically with the use of slave labor. 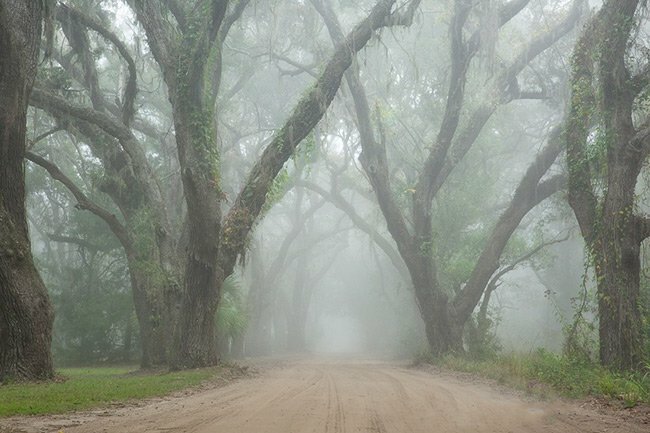 Fog surrounds ancient live oak trees dripping in Spanish Moss lending a mysterious vibe that the South is famous for, this road runs parallel to the Harbor River and ends at Coffin Point Plantation, a nineteenth-century cotton plantation.